As the weekend of our nation’s birth approaches, plans for festival goers are solidified, destination patios are reserved and rooftops are scouted for prime viewing of the fireworks. The nuts are happy to equip our readers with Canada Day insight to festivities, hot spots and dos and donts for what happens to be the craziest day of the year in the capital. In fact, tomorrow morning the Ottawa chapter of inanutshell will be appearing live, on CTV, to weigh in on Canada Day in Ottawa. From parties, to patios, to live music to DJ sets, we hope to share with you what many years of celebrating our nation’s birth, in Ottawa, has taught us. But for those of you who hope escape the city streets and find a more peaceful way of enjoying the day (but still with alcohol aplenty), I bring you a Canadian Beer and Wine Guide, celebrating the craft that Canada has wrangled and solidified. Competing with markets that have been producing quality wine and beer for centuries, Canada has had its fair share of struggles making a name for itself within the wine, beer and spirits world. More recently,however, many high quality, small scale producers are catapulting Canada to the forefront of the industry. And what better way to celebrate Canada Day then with a stock pile of delicious libations at hand, crafted and created in your own backyard. Fielding is one of the most reputable wineries in the Niagara region, producing quality wines that shine with terroir of Canadian soils. 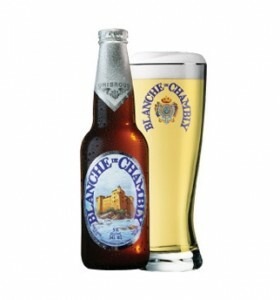 What to expect: Expect this white to be slightly off-dry, with aromas of banana, pear and a crisp, clean finish. Reigning from Niagara, I have never been disappointed by anything produced by Stratus Winery. Stratus works to make each product a summation of their parts meaning: each wine is meant to emanate the process in which it was made, the soils in which it was grown and the elements that it endured. What to expect: Slightly herbal and grassy, this fume blanc maintains a rich mouth feel with hints of white peach and smoke. Southbrook is a biodynamic certified winery, a designation that ensures the most holistic path to wine making possible. As well as having the Demeter certification, Southbrook is certified by Pro-Cert Organic, LEED® (Leadership in Energy and Environmental Design), Sustainable Winemaking Ontario, LFP (Local Food Plus), VQA (Vintners Quality Alliance) for grape wines, and QC (Quality Certified) for fruit wines. All of these designations tell you that the folks at Southbrook spend more time in their winery, and therefore pay more attention to the product that you eventually receive. 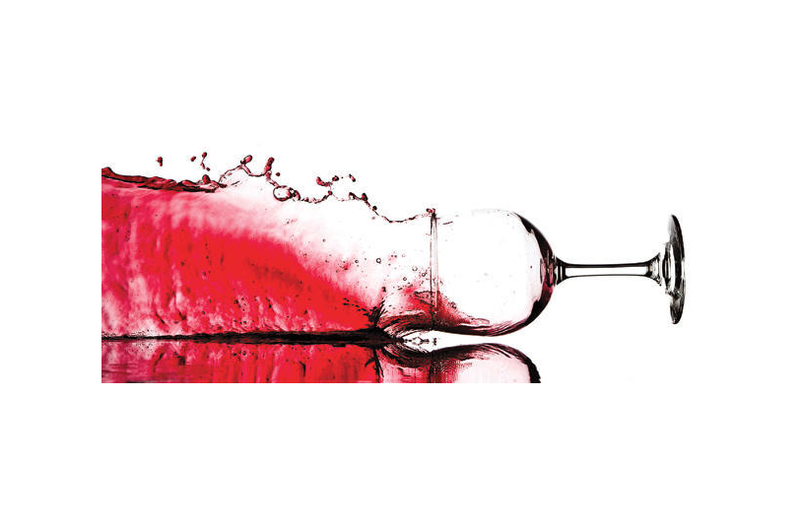 What to expect: Intense strawberry and cranberry with a dash of savoury notes. This rose has noticeable residual sugar and will be perceived as a sweet-style rose, though not syrupy. Lingering acidity balances the sugar content. Cave Spring, located on the Beamsville Bench in Niagara, is a trailblazing winery in producing quality, cool climates wines. Cave Spring produces quality, affordable wines that reflect the terroir of Canadian soils while maintaining varietal characteristics. What to expect: Cave Spring’s rose rolls in on the dry side, with bright acidity, minerality and bursts of tart red currant. What to expect: Light and dry, with red cherry, spice and earthiness. A B.C. wine that shines, from the south Okanagan, and is worth every penny. 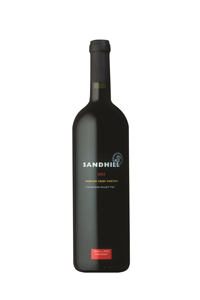 Sandhill prides itself on the Small Lots program where capturing the detail of small scale production is of the essence. Every year, the winemaker discovers barrels that are worthy of extra attention, and these barrels usually contain grapes that reign from specific blocks in the vineyard. What to expect: A Cabernet Sauvignon blend, expect a full bodied wine, with sweet oak and vanilla flavours enhanced by dark black fruit, spice and smoke. What to expect: Think Rickard’s White on steroids. Full flavours of citrus, yeast and spice, this is the perfect beer to crack in the early afternoon. What to expect: Lemon and grapefruit with floral hops, slight malt undertones with an intensely hoppy finish. 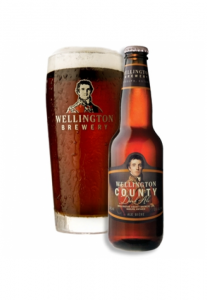 Crisp and flavourful, this one will be perfect with sweet and spicy barbecued meats. What to expect: Expect rich flavours of nut, smoke, coffee and a, crisp, clean, malty finish.